If Martians did exist, they would know nothing about human endeavours (assuming they had not come to Earth in UFO’s before). They would look at humans from a place of absolute ignorance of what it means to be human, and – let’s assume – with a child-like curiosity for our habits and particularities as a species. 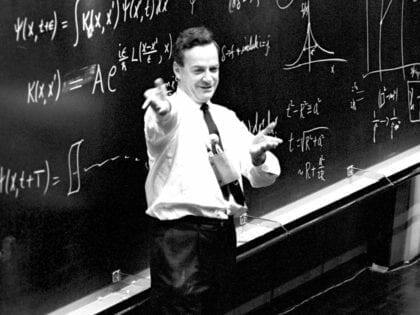 Taking inspiration from Richard Feynman’s “think like a Martian”, and Allan Watt’s inspirational thinking, Scott Santens wrote a speech for a keynote presentation at the Belfast Festival of Ideas & Politics in Northern Ireland, on March 26th 2019. Then he recorded it into a podcast. This recording starts with a provocative sentence, “Humans are born here, but without those pieces of paper [money], they seem to not be allowed to live here”. Further on, Santens reaches a conclusion on what money is (according to him): “Money is nothing but book keeping”. He continues to reason on that vein, and infers the corollary that money is trust. That we, as humans, trust in money to give us the opportunity to get what we need, in exchange for giving our contribution to what other people need. Santens shows that “one of the most alien things of all” is the fact that a lot of the Earth’s vital resources are withheld from many people. But it wasn’t always like that. Once upon a time, the Earth was a free planet, where humans, other animals and plants simply shared the bounty of life and life-supporting conditions of this abundant planet. People gave and received objects and tasks from each other, and felt the social obligation to give back to the community for it. Now, however, and for a long time up to this moment, some people feel entitled to possessions over the Earth’s resources, forcing everybody else to sell their time for the right to live here, in relative comfort. However, and because humans are animals who adapt and adjust, even to the harshest of environments, most people have gone accustomed to this reality. Poverty has come to be considered normal. Stressful lives have also grown as normal. Competition over resources perceived as scarce has developed into something normal. It seems that this state of things derives from one, and one only, scarce resource, among fellow humans: trust. According to Santens, this is where the “thinking like a Martian” intersects with the universal basic income (UBI) concept. Because, at a fundamental level, the UBI idea only says: “I trust you”. It says that we, as a community, trust each other to share our life-energy and talents, given the unconditional access to the Earth’s basic resources, necessary for human living. It’s that simple. And it is about so much more than money (a quantified unit of exchange). Scott Santens believes that only free, conscious human beings will actually trust each other to make this happen and, in the process, free millions of other human beings. Then the question: “how do get from here to there?” (“how do we start trusting each other?”) Santens argues that that is where basic income pilots come to be useful, as experiments in human trust. Data already shows how harmful poverty is, how destabilizing inequality is, and how unproductive our work can be when we’re not choosing to do it (but being forced into it, in order to get an income). “What we lack is will”, he determines. So, experiments can and should be done, as often as it takes, until humans get around to trusting each other on ever increasing scales. Because, at a fundamental level, that is what is at stake. He says: “[basic income is] a civilizing idea”. And it comes along at this moment in human history also as a way to recognize that everything a person gets when he or she is born, is not earned. It is not deserved. It is given to us. From nature and from thousands of human generations before us. As a make-up Martian, Scott Santens concludes by blowing the question up to the stars: “Are you ever going to trust a species that has never learned to trust itself”?